Nollywood actress Adesua Etomi is certainly pushing herself! 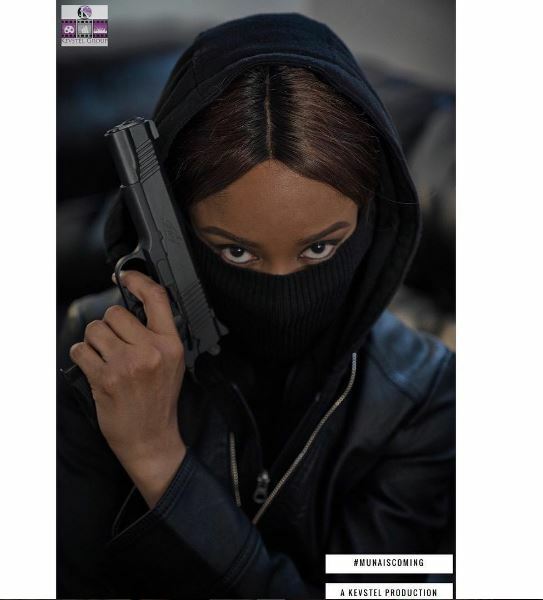 The star actress is set to feature in a new action film titled Muna, which she is filming in Los Angeles at the moment. She shared photos from behind the scene striking a pose with a samurai sword looking like a badass ready for action and also a video of her practising to shoot a fight scene. We have never seen the actress in this light so it’s something to look forward to!